Broken screen, e.g. if your screen has smashed or simply stopped responding. Water damage, e.g. if you’ve dropped or splashed your phone in liquid. Broken housings, e.g. if you’ve dropped your phone. In fact, over the past few years, we’ve processed more than 140000 mobile phone repairs UK wide! A short list of Smartphone Brands we offer repairs for, Apple, Samsung, Motorola, Sony, Huawei, Lenovo, One Plus, Xiaomi, Elephone and many more. If your mobile phone breaks down it can be extremely inconvenient and frustrating. We repair any phone at our state of the art workshop here in the UK. Having your android or apple phone repaired with a professional service centre will be a lot cheaper than buying a new one and will save you a lot of time and hassle, our trained and experienced engineers waiting for your broken phone. Where could I get my iPhone serviced at an affordable rate? The most cost-effective solution for you is to get your mobile serviced here at EP UK. Done professionally by our repair technicians, there is literally no difference to the original state of your mobile after the service. 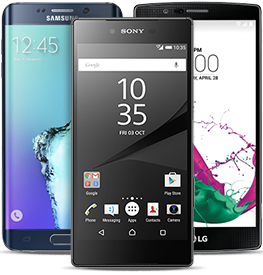 Many customers highly recommend using our services for any phone fix you may need. How much will it cost to fix my screen? There are lots of websites on the net which will tell you a thing or two about how to utilize the warranty. You may still be covered by the warranty of your mobile phone which would mean that the cost will be less and there will also be less hassle. However, we can offer out of warranty services at very affordable prices, simply request a free estimate for your screen replacement or phone repair. Do you offer battery and screen replacements? We offer repairs for a cracked or broken screen to a unit which is not turning on at all. Being the most affordable professional specialist for phones made by Samsung we are able to help. Whether you need a screen replacement or you having an issue with your battery our experienced repair technicians can fix it all. Quick, easy and reliable repairs for busy and active people like you. Should I replace my screen or buy a new phone? In general, replacing your screen is the most efficient and money-saving choice. Most common fixes are a lot cheaper than replacing or purchasing a new mobile phone. For example, we offer a screen replacement service at very reasonable prices that cannot be compared to manufacturer prices. On the other hand, the money you spend repairing your phone could go towards getting you something new. Maybe instead of repairing a cracked screen, you can spend a little more and get a newer phone with a better camera but you will lose all your data and personal settings. The truth about all Phone Repairs. To fix a phone is not as easy as it seems. Many videos are shared on youtube are produced and published by parts manufacturers who want to sell their parts. Although many issues are obvious others can be very tricky to pinpoint, which is why at our workshop we test every device thoroughly. And the truth is, a mobile phone is basically a small computer contain a logic board, battery, screen, memory and charger connection which can all break or become faulty. Just as you don’t replace your car every time it has a mechanical issue, you don’t have to replace your Smartphone either.